Its been way too long. Too long since I last posted something, and too long since I’ve spent some time loving on my curls/coils/springs of beautiful hair. Its funny 3 years ago, my hair and beautiful would have never made it in the same sentence together. I have not been posting because I have been wearing my hair straight since my birthday. I’m still embracing my hair but I’ll be completely honest with you. I am so over it! 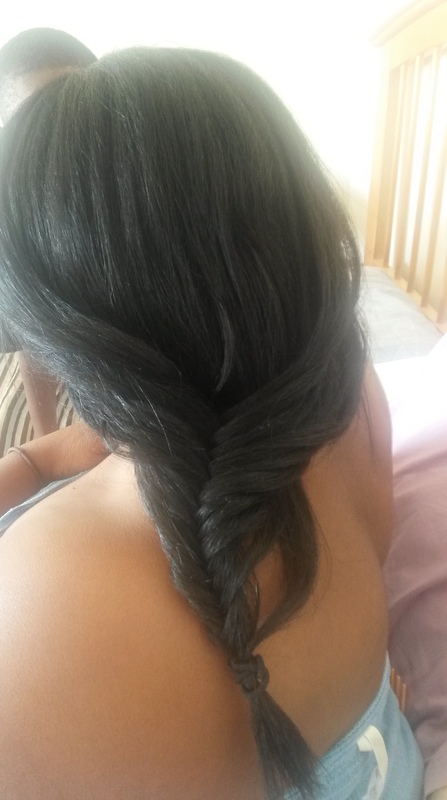 I have 3 daughters, all with very long and thick natural hair. (I’ll be posting more about them later) Their hair days are soooo overwhelming for me that when it comes to my own hair I am just exhausted. Wearing my hair straight is the most logical thing for me during this season in my life. Straightened to me does not mean relaxed or permed. It means going to the salon and getting a blow out which is what I have been doing very consistantly this year. My focus now is attaining length. (and keeping my edges, but that’s a whole nother post!) 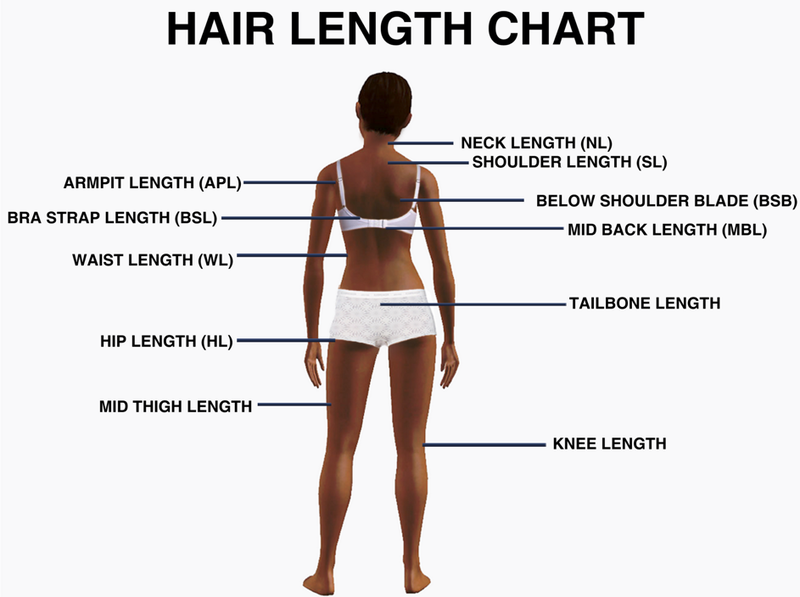 According to various hair length charts on the web and well..my hair, I am right in between bsl or bra strap length and mbl or mid back length. My goal is to have reached waist length by 2017. Do you think that its attainable? At that point I think that I will wear my hair naturally straightened most of the time. 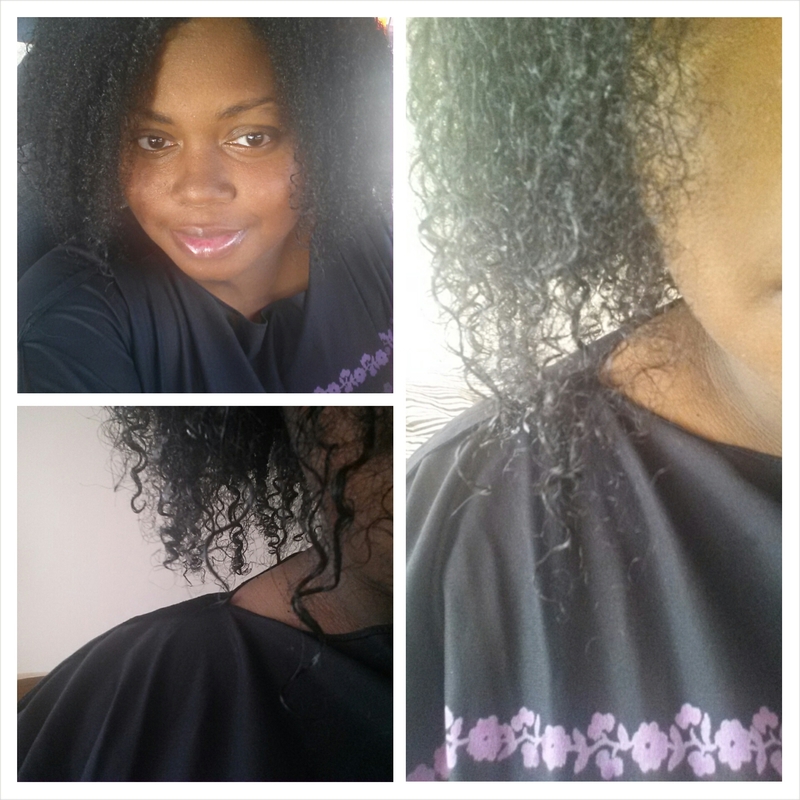 Now, on to my curls..I noticed this a while back but yesterday I decided that is was worthy of a blog post. I rocked a wash n go yesterday. I’ve been wanting to for a while now. Yes, it is Decemeber but it was 70 degrees in Atlanta so I figured it would be the best time since I was out and about running. You guys know that I don’t use any other products except Jane Carter Solutions line in my hair. It took 2 years of trial and error to find the best line for me. For my wash n go’s I use the curl defining cream. I literally wash and condition my hair, add the product while its dripping wet, whip my hair back and forth (Willow Smith style) and go. Like literally..grab my keys, get in my car and leave. It elongates my curls and it stays all day! Plus they are soft and shiny. The pictures below are of my dry hair. Now I do have shrinkage, but its not much. The only downfalls that I have with it is the price, it ranges anywhere from $14.99 to $30.00 depending on the size and the amount of time it sometimes takes to dry bothers me. While its wet, it can sometimes make your hair look white and I hate that. Because of the heat, my curl pattern as been altered and I am not sure if I am 4c anymore. Some may call it heat damage but I do not because although there may be parts of my hair that do not coil as tightly as it use to (see my 2011/12 posts) its still curly and in a full thick head of hair with various curl types I barely notice or care. It’s still growing. So for all of you ladies out there that are considering “starting over” because of “heat damage” I encourage you to reconsider. Its not the end of the world if a few strands of hair are not the same as the rest as long as there is no breakage. That is my opinion and that has helped me in my natural hair journey. As always I want to hear from you ladies. What are your hair length goals? Where are you now and where would you like to be? Leave a comment please!